It’s that time of year again, Independence Day! So what will you be doing to celebrate the holiday? Here in Deep Creek we tend to have cookouts, family fun, lake time and FIREWORKS! We are hopeful will have nice weather for the holiday weekend and be able to celebrate with plenty of outdoor activities! For Oakland they will be having their firework/music celebration on July, 3rd at Broadford Park. The music will start at 7:30pm and they invite everyone to bring their lawn chairs and blankets to picnic during the celebration, fireworks will then follow at 9:30pm. For McHenry they will be holding “Fire on the Mountain” on July, 4th on Marsh Mountain at the Wisp Resort. The fireworks will start at 9:30pm and can be seen from many locations. Some of the better locations to see them would be the scenic overlook along rt. 219, Wisp Resort, and the lawn at Garrett College. 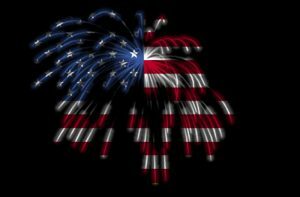 If it happens to be bad weather they will reschedule the fireworks for Sunday July, 5th. Hopefully everyone enjoys the holiday with family, friends, and lots of sunny weather! Lakeside Docks hopes that everyone is able to enjoy their dock and the lake and would like everyone to have a safe weekend! ← Memorial Day weekend is right around the corner!